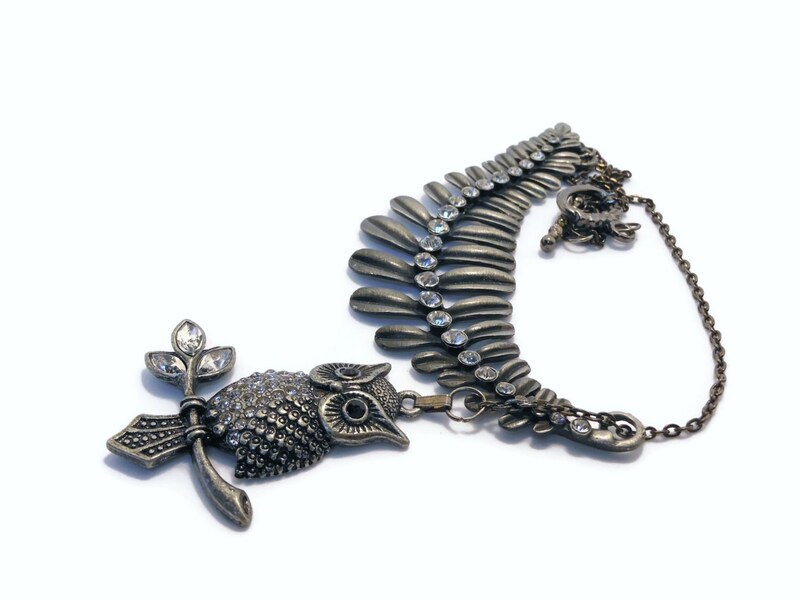 Gunmetal owl and leaf necklace, two looks for the price of one, rhinestone & gunmetal owl necklace, y or lariat necklace, pave rhinestones. 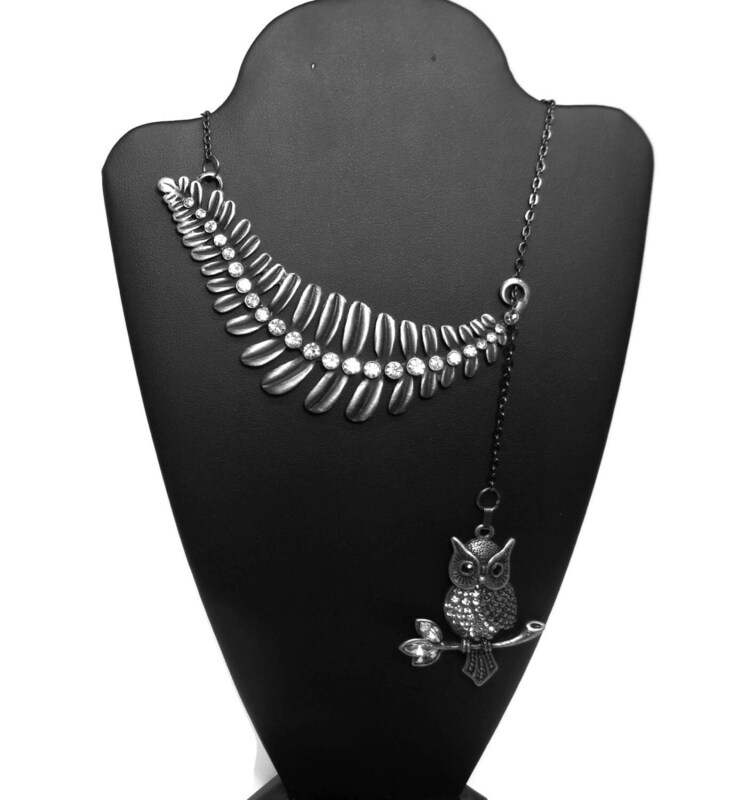 Wear it straight for one look or move the clasp to the side to make it a Y necklace, my favorite. 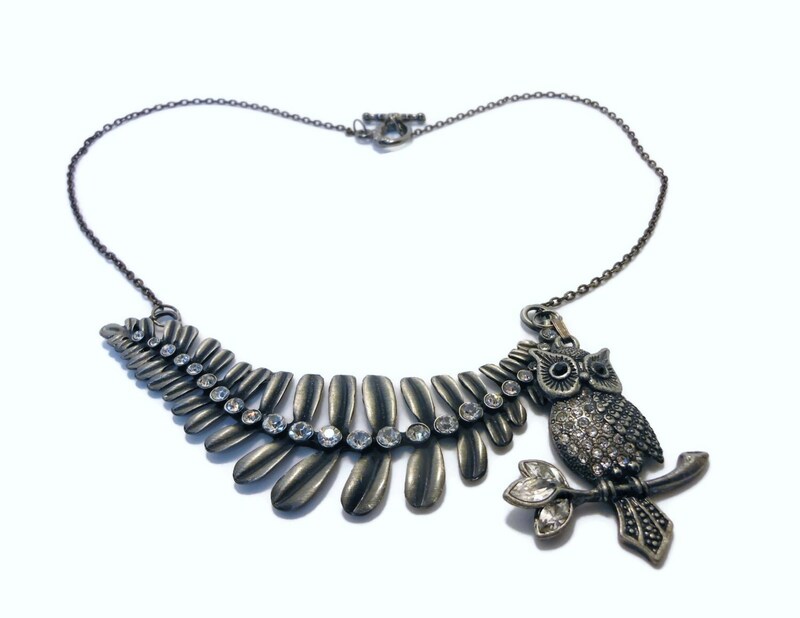 Great for an owl lover, nature lover or bird watcher! 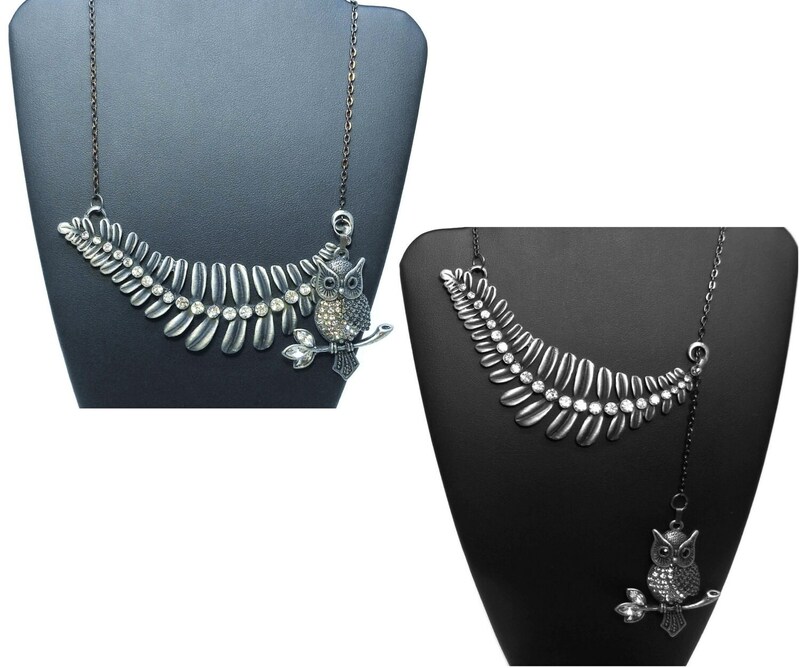 The chain is 15" (38.1 cm) long without the clasp, the leaf, fern or feather adds another 4" (10.2 cm). 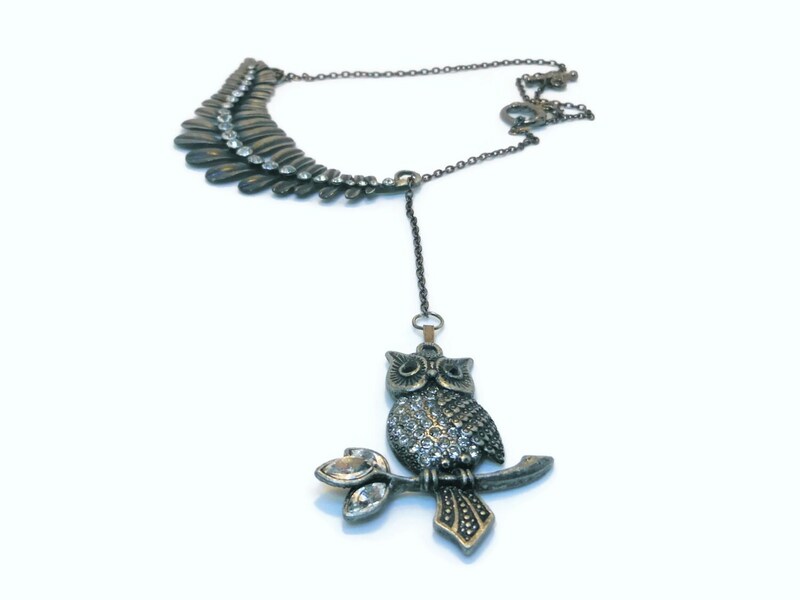 The owl measures 2" (5.1 cm) X 1 1/2" (3.8 cm).